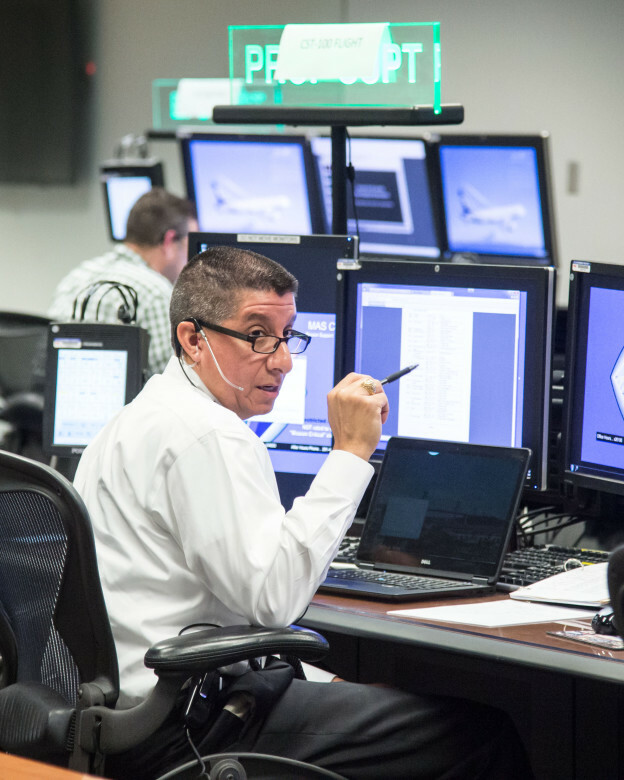 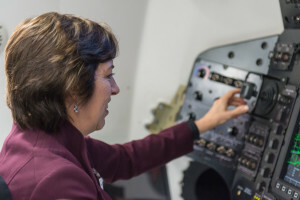 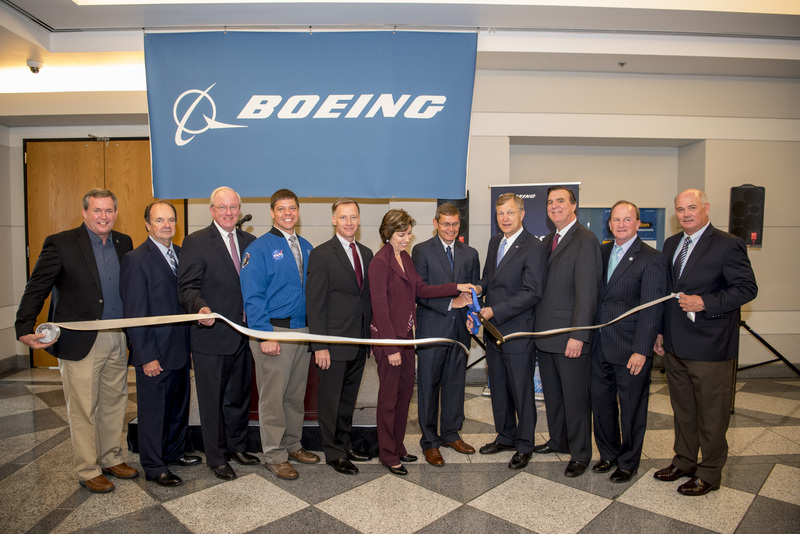 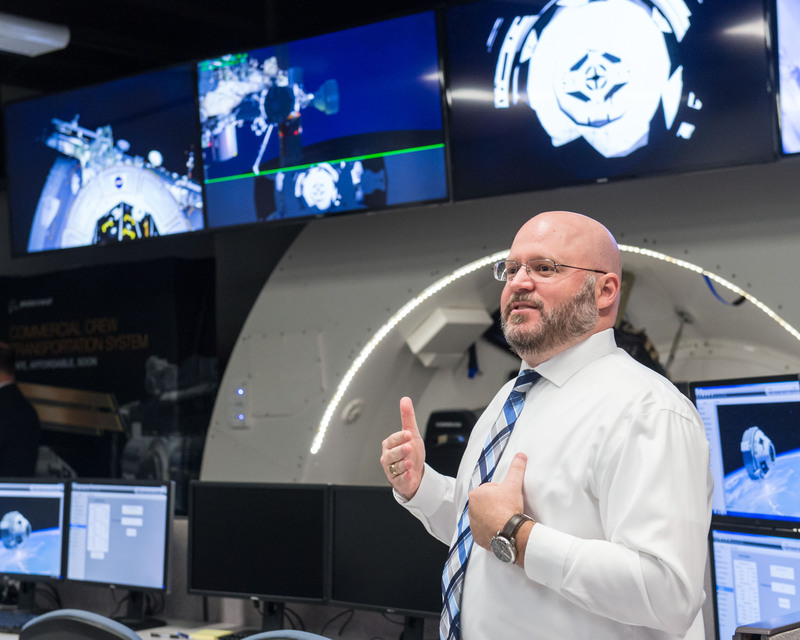 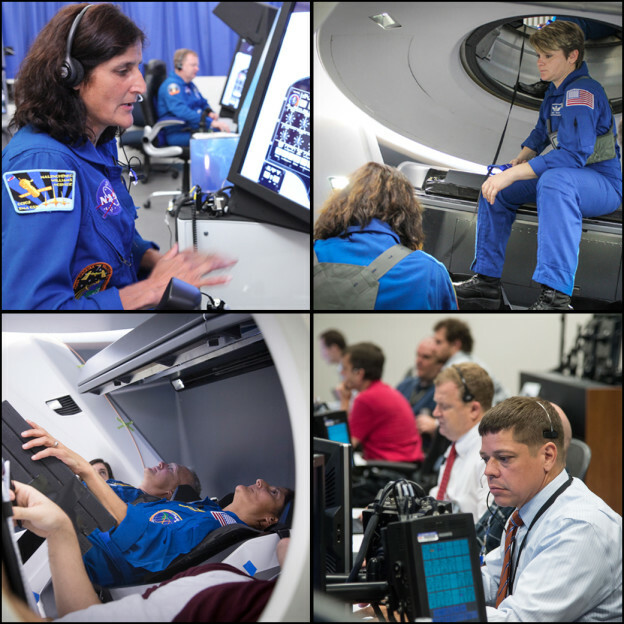 “As a pilot, nothing beats being in a simulator and getting hands-on training to fly a vehicle,” said former space shuttle commander Chris Ferguson, now deputy program manager and director of Crew and Mission Operations for Boeing’s Commercial Crew Program. 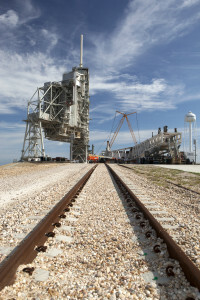 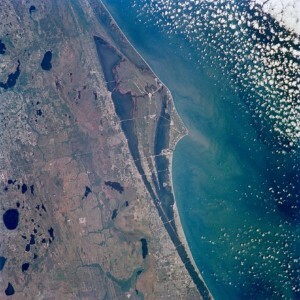 The final board O’Brady worked on ultimately led to the award of contracts to Boeing and SpaceX to build the spacecraft and launch systems that will return human launch capability to American soil. Each company works independently on different systems – Boeing is building the CST-100 Starliner to launch on a United Launch Alliance Atlas V rocket and SpaceX is building the Crew Dragon to launch on a Falcon 9 rocket. 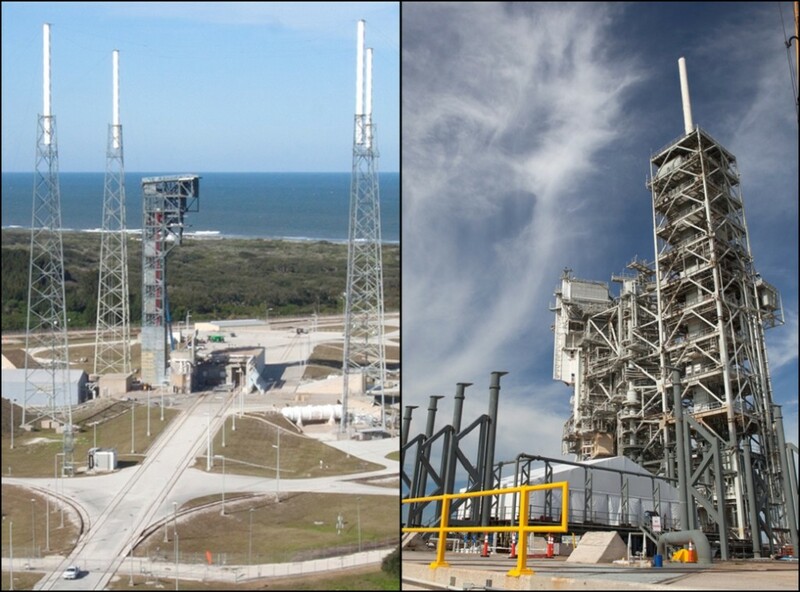 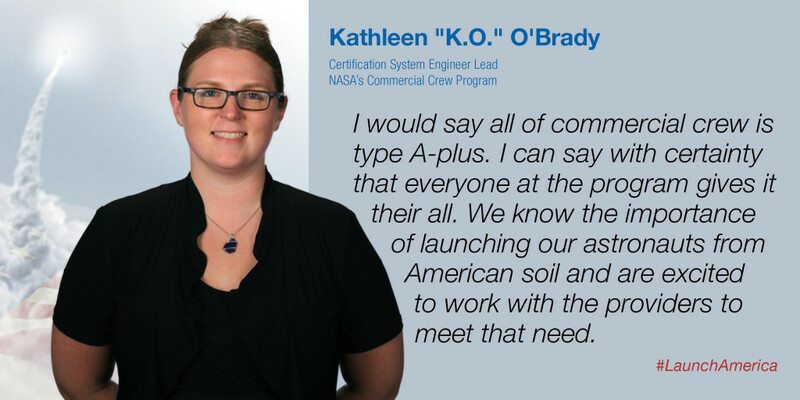 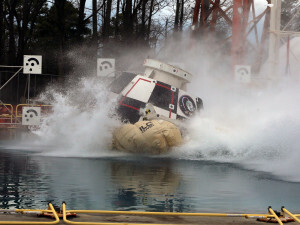 Both work closely with NASA to build systems that meet NASA’s safety and performance requirements. 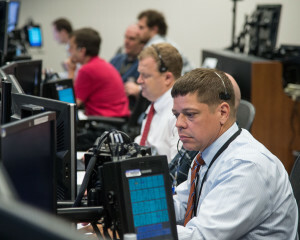 One goal of this unique approach is to acquire cost-effective transportation services from providers that own and maintain the spacecraft systems themselves. 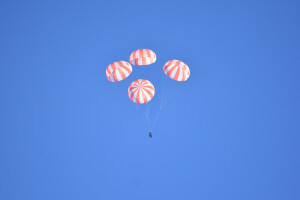 The companies also expect to offer orbital flights for non-NASA customers in the future. 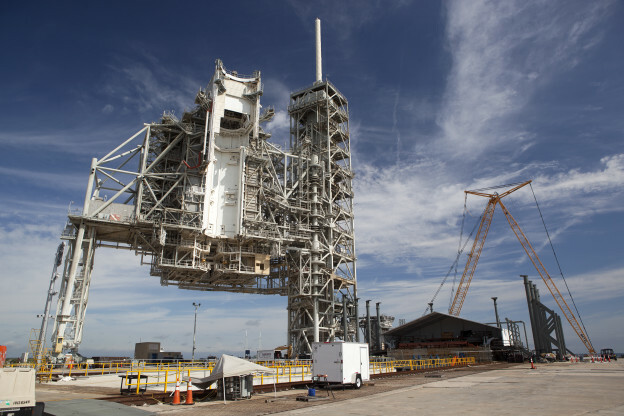 Manufacturing bays and launch pads are scenes of careful activity midway through 2016 as Boeing and SpaceX, partners with NASA’s Commercial Crew Program, build the prototype spacecraft that will precede assembly of the flight vehicles that will perform test flights. 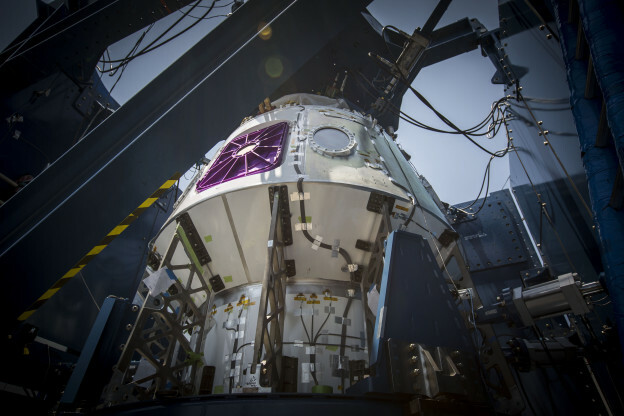 Both companies are building separate spacecraft and launch systems capable of carrying astronauts some 250 miles into space where they will perform groundbreaking research aboard the International Space Station. 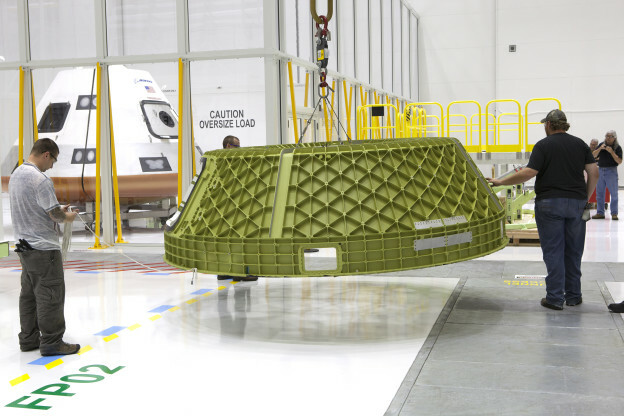 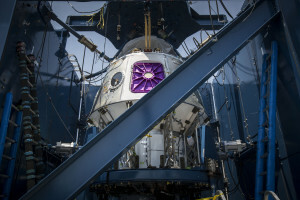 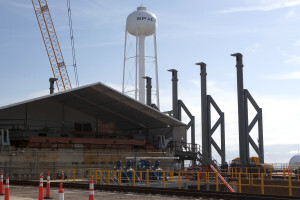 Boeing’s Starliner is being assembled at the Commercial Crew and Cargo Processing Facility at NASA’s Kennedy Space Center in Florida, while SpaceX is manufacturing its Crew Dragon spacecraft at the company’s headquarters and factory in Hawthorne, California. The companies building the next generation of human-rated spacecraft with NASA’s Commercial Crew Program made their biggest advances so far as they finalized designs and began building prototype spacecraft. 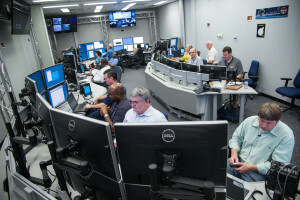 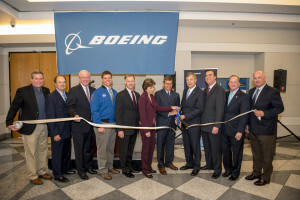 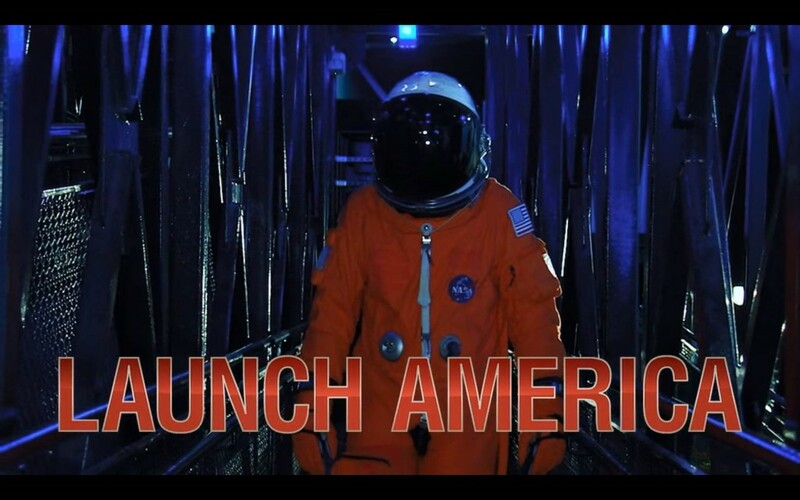 The careful, meticulous efforts by Boeing and SpaceX, along with NASA astronauts, engineers and spaceflight specialists, are vital markers in the path to flight as the team work to restore America’s ability to launch astronauts to the International Space Station from the United States.